The Alumni Office is dedicated to supporting the professional success of our outstanding alums. Because of this, we support a variety of professional networks and services available at no cost exclusively to our alumni. Register as an advisee to browse the database of alumni advisors, and book consultations. 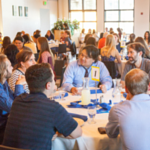 Create a profile as an advisor to offer career advice, resume critiques and/or mock interviews to fellow Banana Slugs, registration is fast and easy. Learn more here. Do you need a leg up in the networking game? Let us help! 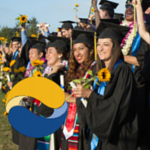 We will send you a stack of 30 complimentary customized UC Santa Cruz alumni branded business cards. 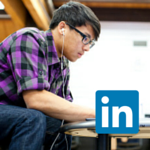 UC Santa Cruz has over 85,000 Banana Slugs on LinkedIn, with over 10,000 members in the official alumni group. This is a great resource to explore what other Banana Slugs are doing, and build your professional network. Looking to showcase your skills? Join this cloud based network that helps millions of people share a complete picture of their academic and professional potential through an ePortfolio. 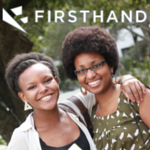 This network creates opportunities to capture, curate, and convert skills into job offers. 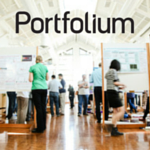 Learn more about Portfolium. The UC Santa Cruz Career Center is happy to extend use of its online tools, at no cost, to all UC Santa Cruz alums for six months after you graduate. Beyond this, the Career Center has a wealth of online resources and guides to help you land your dream job.